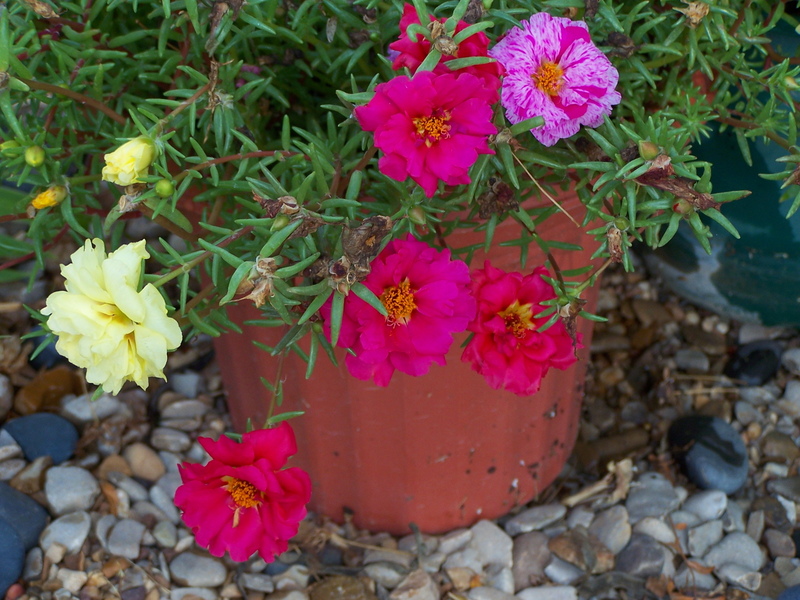 Ramblings From Randi, The Wild Rose Quilter – Page 68 – My adventures in quilting and other tidbits of my life at Casa de Ortega. 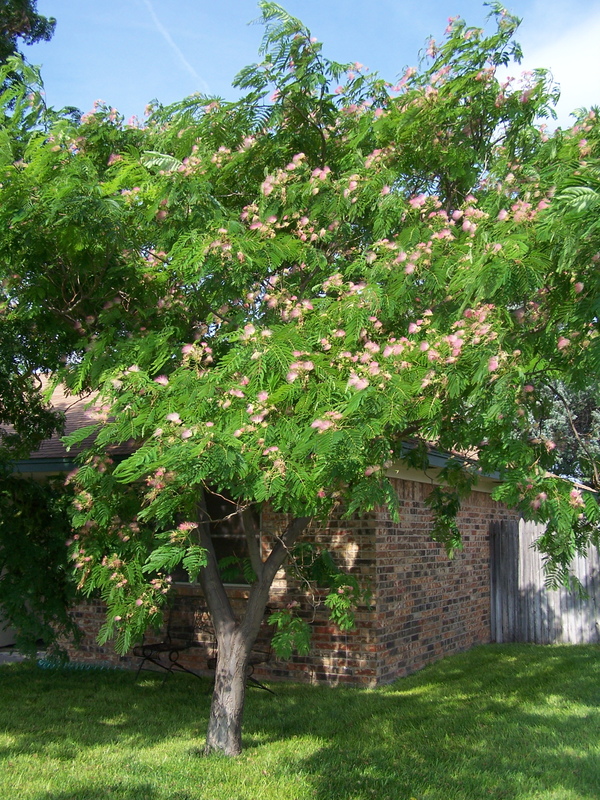 Today, I will treat you to some pics of my Mimosa tree. 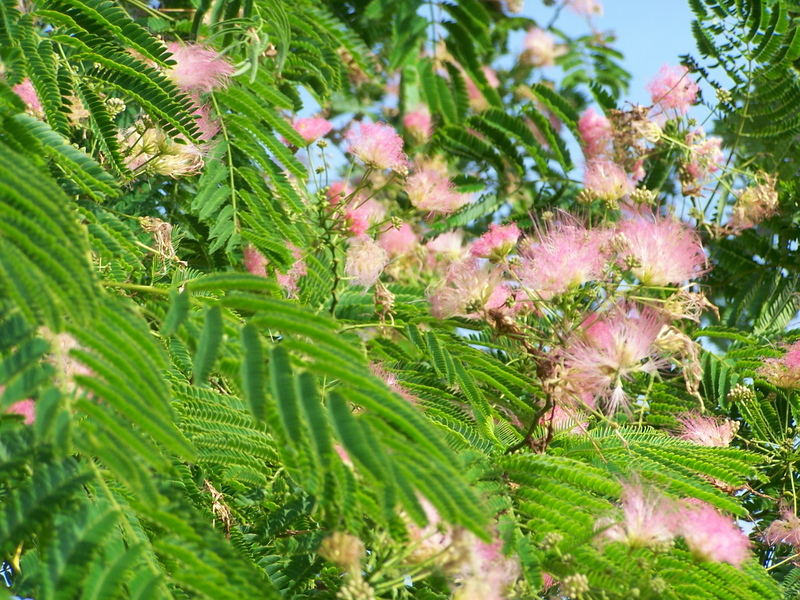 I was so happy to discover that one of the the young trees growing in the front yard of our house, when we bought it ten years ago, was a Mimosa. I love these trees. I have a couple of chairs sitting underneath the Mimosa and the Locust trees. 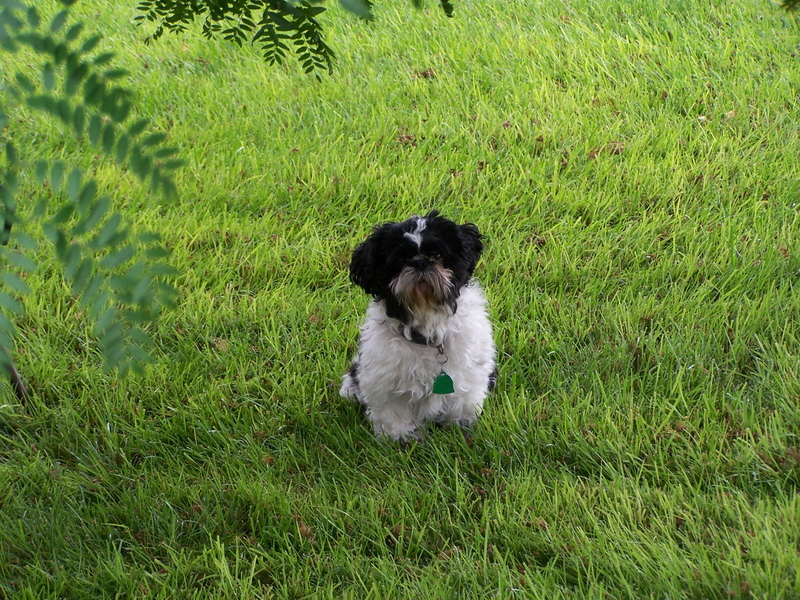 The little dog, Lulu, and I enjoyed some nice time spent there this afternoon. We did not get the bad storms yesterday, just some rain last night, and today the high was only in the 70’s. 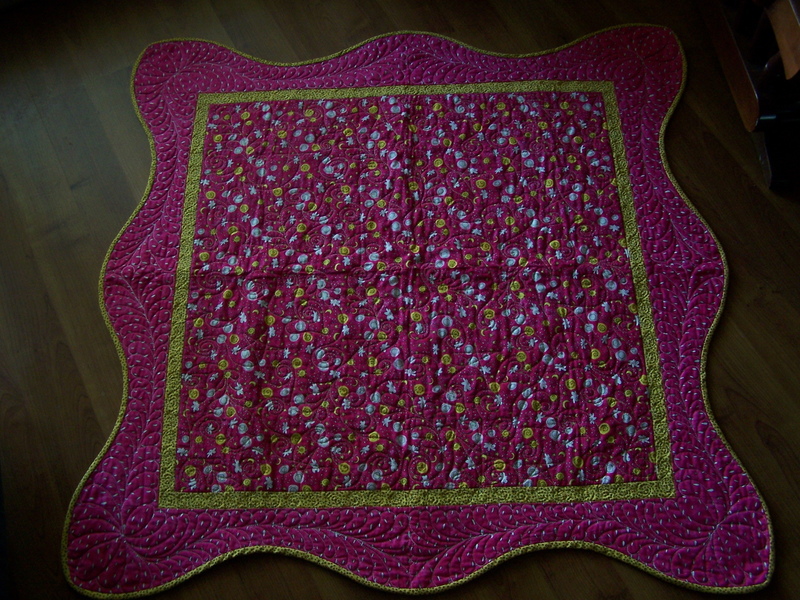 It was so relaxing to sit underneath that beautiful canopy of leaves and pink, fluffy blossoms, while I finished handstitching the binding on the blue & yellow log cabin quilt. And yes, I did get the binding finished! Yea! I only had to work at my day job til about 10:30 this a.m. 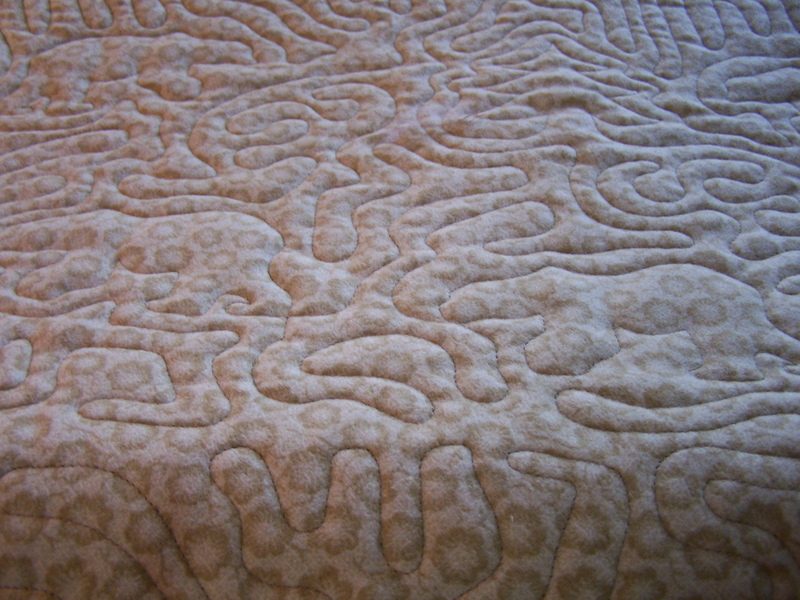 So that gave me some good time to work on quilting projects. I got started on the customer panto around 3:00. I got three rows done, and have about 2.5 left to go. I could have finished it today, but instead I chose to go out to dinner with my two favorite men 🙂 . We went out to a local Mexican restaurant. When we came home, I got it all lined up and ready to go for the next row, but decided that could wait til tomorrow. 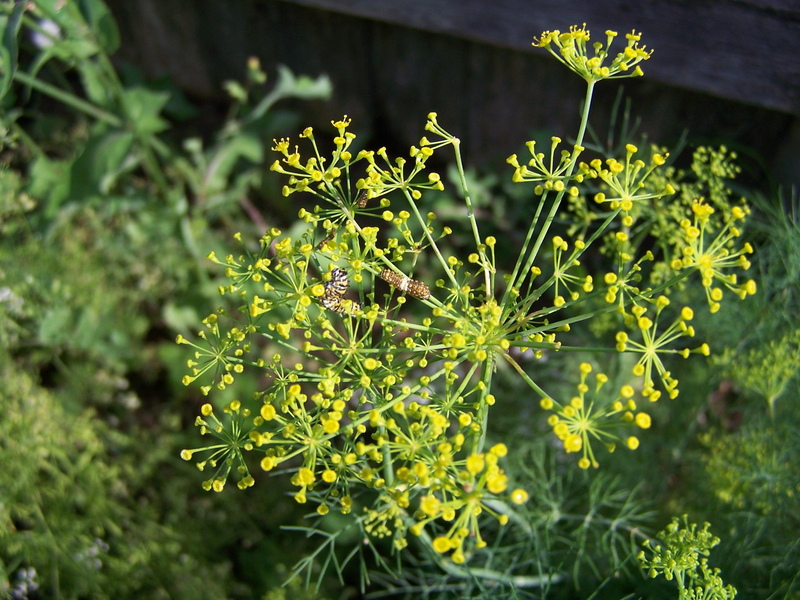 As some of you know, I have been fascinated by the caterpillars I discovered earlier this year, eating my dill. 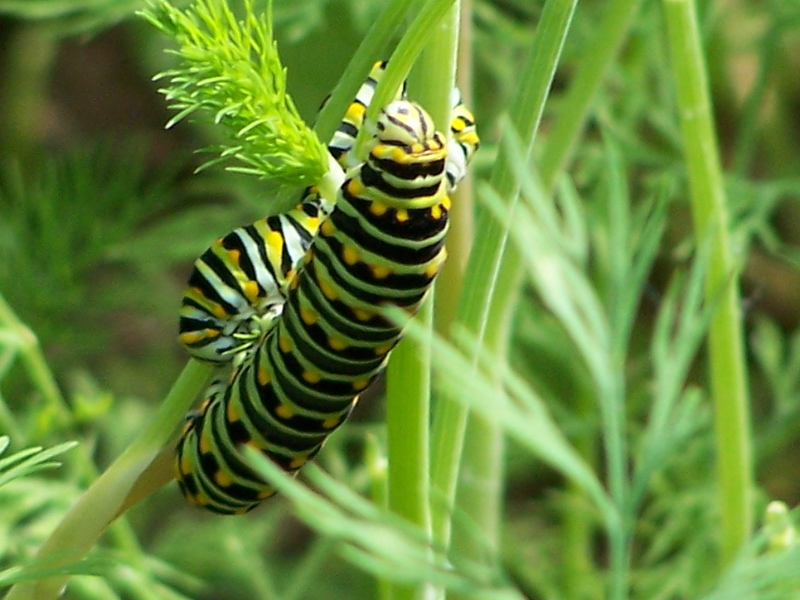 A little research told me that they will turn into beautiful swallowtail butterflies. I was having so much fun watching them munching away. I would watch them grow, from hatching out of their eggs, to big fat cats, about ready to go into their cocoons. One evening, I informed my husband that a whole new batch of babies had hatched. I had about three or four big ones left, and then varying sizes in between them and the hatchlings. 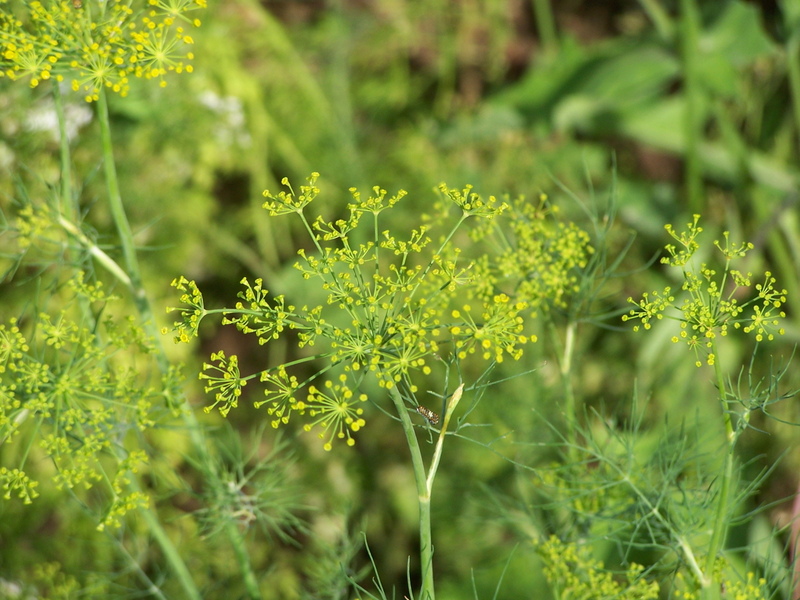 I went out to the dill patch during my lunch hour the next day, and all the big ones were gone. I figured they had gone off to make cocoons. Then I noticed the babies were mostly gone, as well as the others. I found a couple midsize ones, laying on the ground wriggling around dying, with their little orange protector things sticking out on their head. 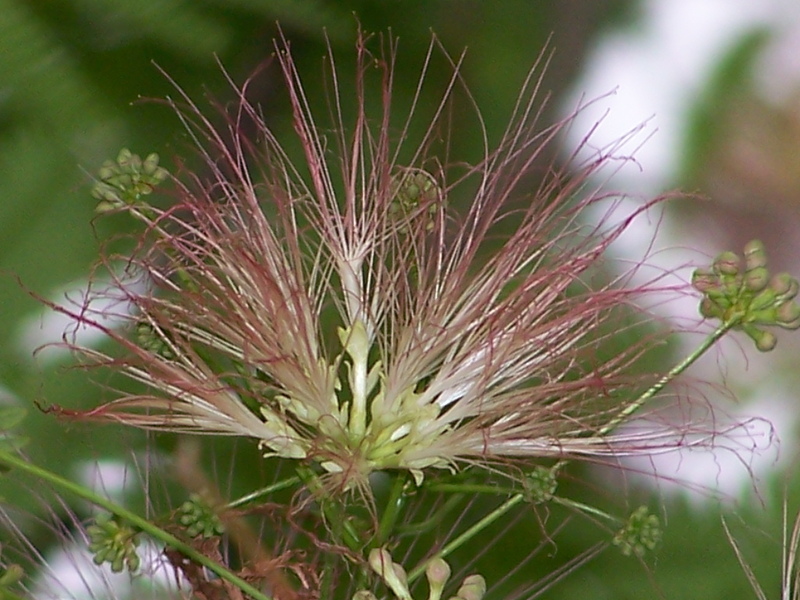 They poke these orange antenna looking things out when they are threatened, and they emit a bad odor. I have no idea if they were attacked by ants, wasps, or just what was happening to them, but I was sad. 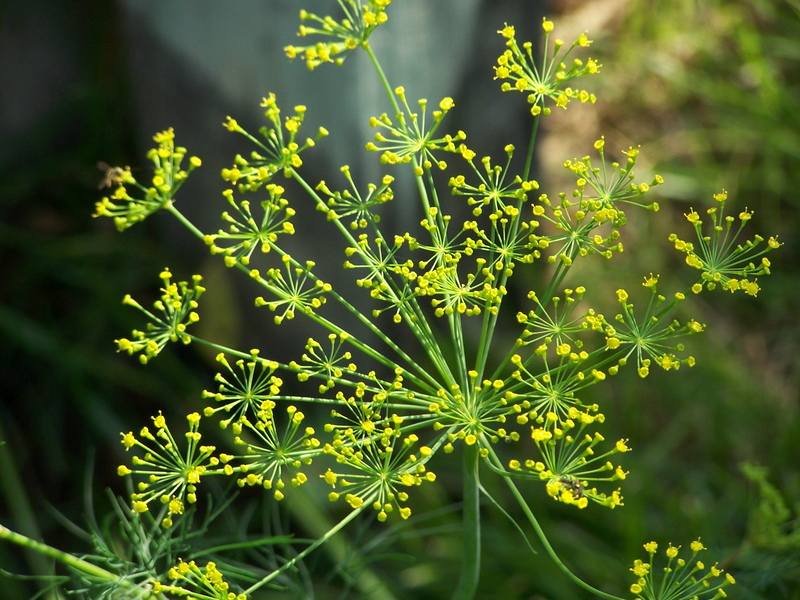 😦 So, to try to make this long story a little shorter, some more hatched, and I found them dead not much later, just hanging there on the dill. More eggs have since shown up. This time, I’ve been waiting for them to hatch. 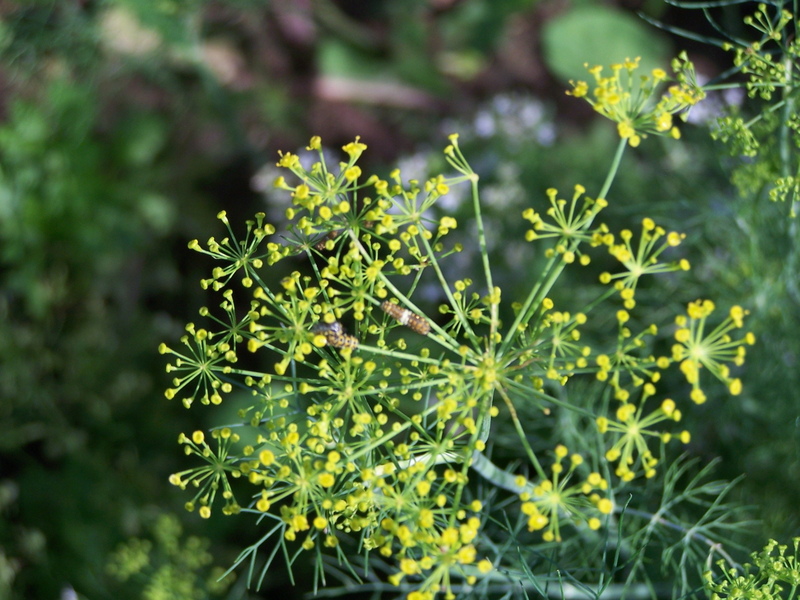 We did get rid of an ant bed that had appeared under the dill, also, just in case the ants were the bad guys. 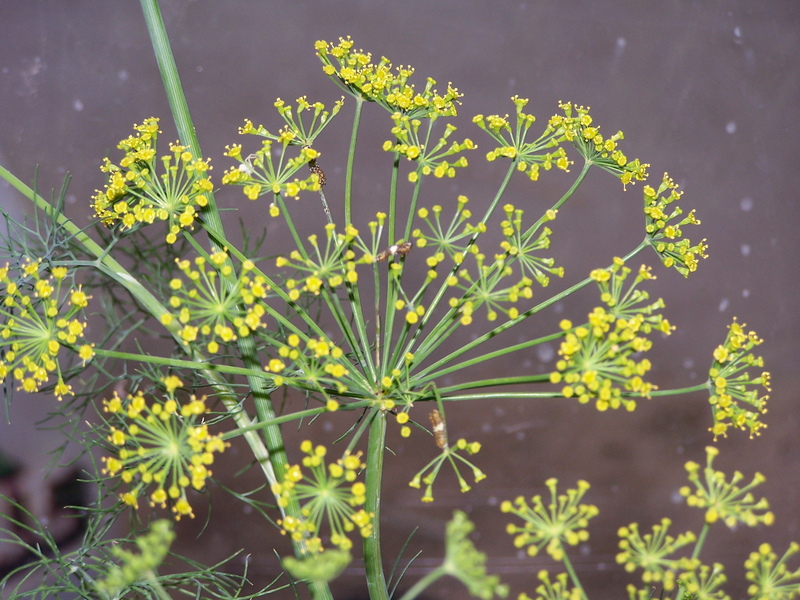 I went out and cut the dill stems that had babies on them, and yes, I brought them inside. So far, so good. 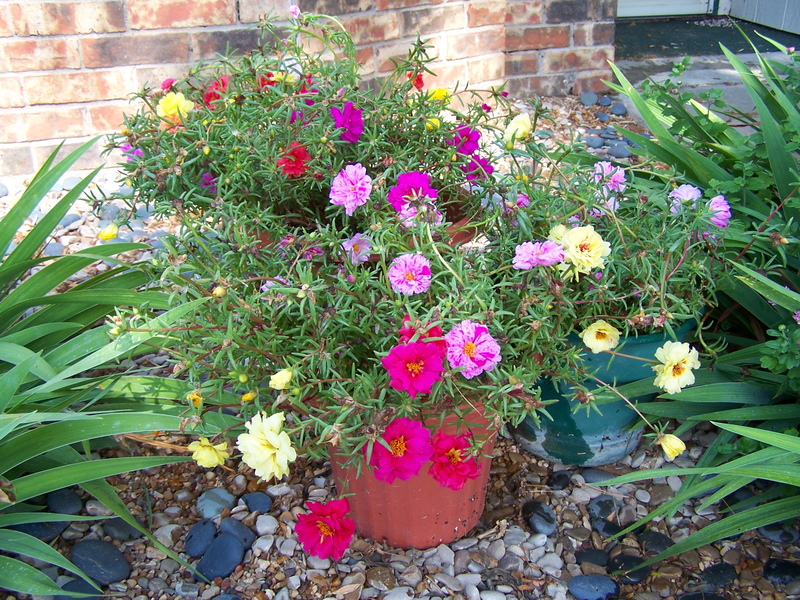 I have left a few outside, to see if they fare better than the others. 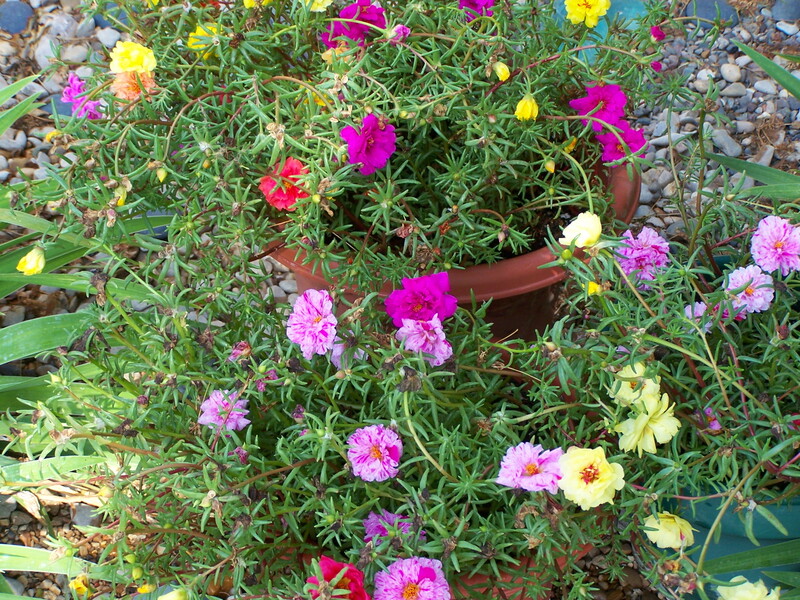 These are some of the ones I brought indoors. 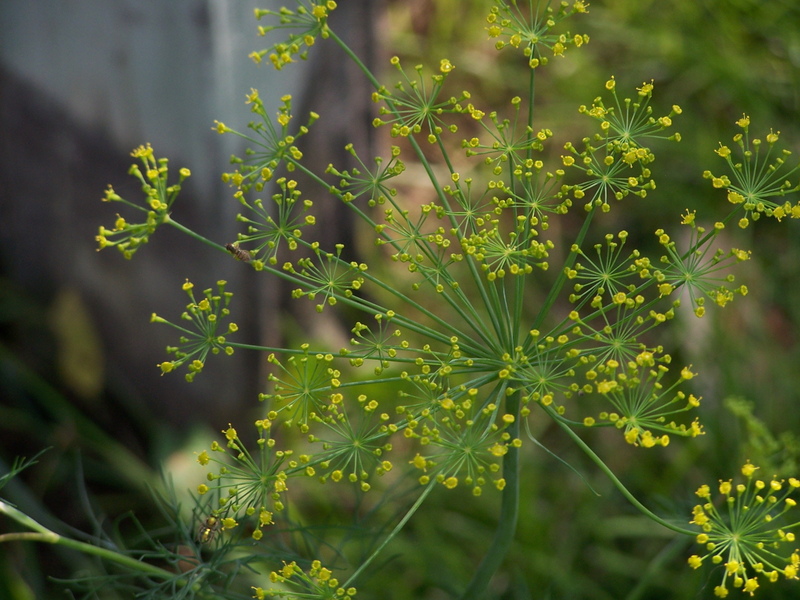 These are pics of ones outside, and then, as I was taking a picture of them, I realized how really pretty the dill looks, and just starting taking pics of the dill. So then, that started me off on one of those “run around the yard and see what else I can find to take pictures of” sprees. Therefore, over the next few days, I will be sharing pics with you of the things that caught my eye. Hope you enjoyed the caterpillar-dill show! There will be progress reports 🙂 . I leave you with one of my favorite pics, that I took earlier this summer of a couple of the big ones. Well, today could be interesting…but let’s hope not. I just checked the weather forecast, and we are in for possible severe thunderstorms with possible large hail. DH & I own the local glass & garage door shop. He is already so busy, and we can’t seem to keep good workers. The local oilfield industry is booming again, and we can’t compete with the wages they pay. I am just trying to get myself together to get to work this morning. I am so tired, and my shoulder, and various other bones are just so achy today. I really do think that I have fybromyalgia, though I haven’t been officially diagnosed. This week has been a tough week, physically, but I’m pushing through. For those that are, and have been, regular readers of my first blog…be looking for more caterpillar updates in the upcoming days. 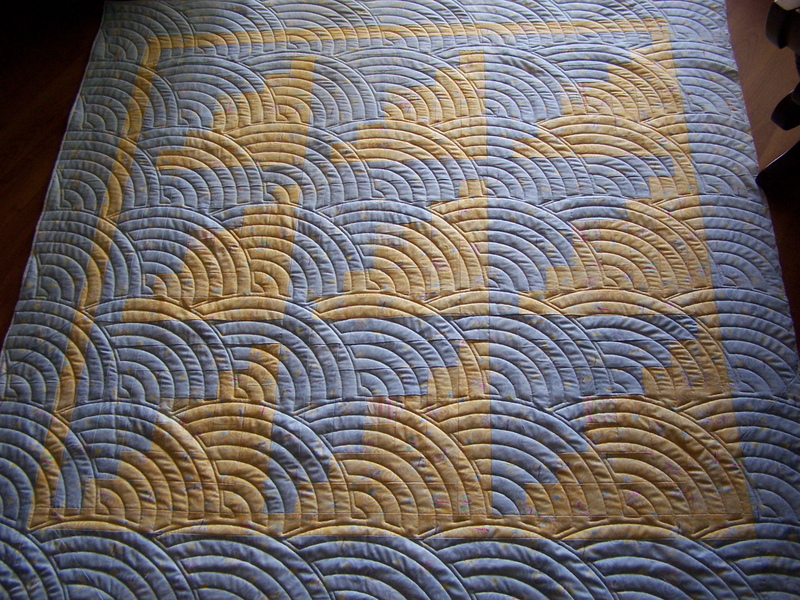 On the subject of quilting, I got the binding and tag sewn to the blue & yellow log cabin, and have almost one side stiched down, by hand, on the back. I think I will make it by Monday! Actually, it needs to be a little sooner, as I want to give them both a wash before delivering them to my friend. I’m going to have a hard time parting with the blue & yellow one, but what will I do with a baby quilt? Then the next thing to check off my “must get to and get done” list, is a customer top. Need to get that quilted up, a panto, and delivered back to it’s owner. She is a new customer and this will be my first, hopefully not my last, job for her. Now I must finish my coffee, get dressed, and drag myself off, very reluctantly, to my day job. Have a great day! I got the binding finished on this little baby quilt today. Yea! One down, one to go before Monday. This is the first time I tried a wavy border, and I am pleased with the results. I’m especially tickled with how well it matches up when folded (it really doesn’t take much to excite me). I came home from work today, and got my garden plants all watered, and then I fried some fresh zucchini squash, and sliced some home grown tomatoes for dinner. Yum! Now to get that blue & yellow log cabin bound…. Well, I’m stepping out of my comfort zone and starting a new blog. I’ll start with a pic of my latest baby quilt, to see if I can get the hang of this new space. I just need to get the binding on. 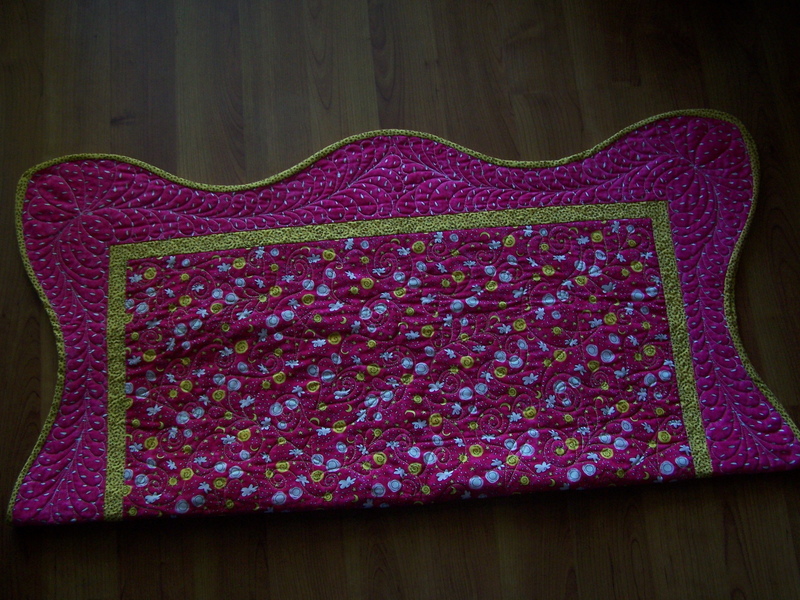 This quilt will be offered for sale in my friend’s salon/boutique. 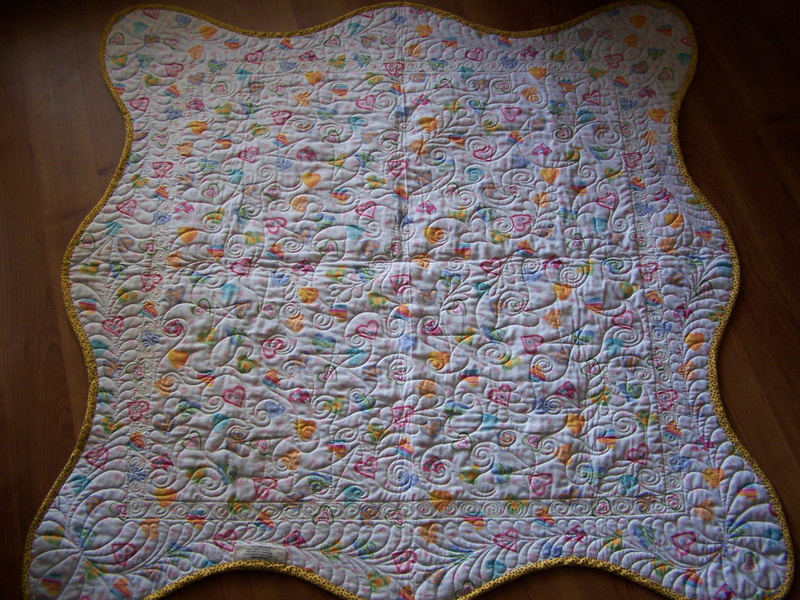 I used my Quilt EZ Contemporary BF templates, and I must say, I loved them. 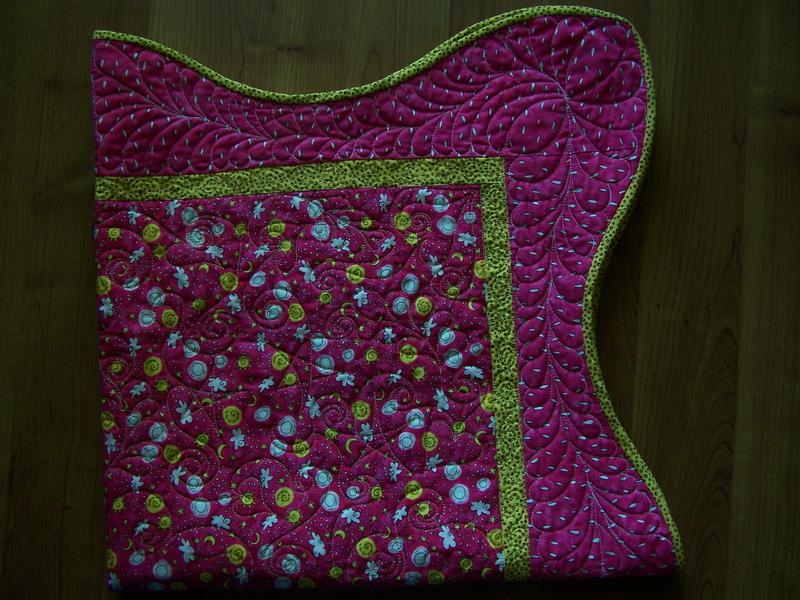 Very fun to use and I really like the way the quilting looks. Well, that’s all for my first post. Hope you will come back!